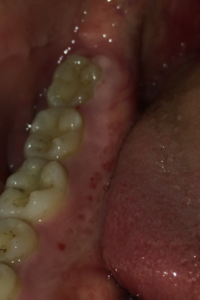 Home › Medical Questions › General › I have red spots on only my right lower gum line? 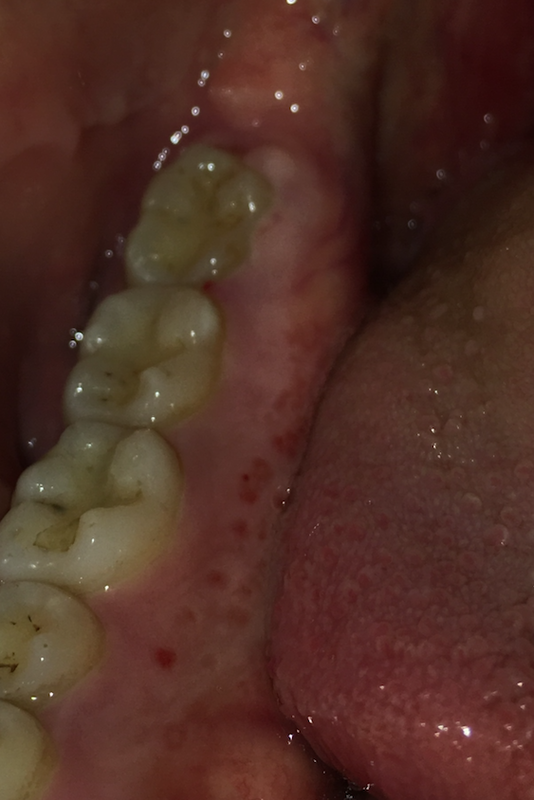 I have red spots on only my right lower gum line? I have red spots on only my right lower gum line as seen in the attached photo no pain no bleeding..also at the same side of my tongue some white patches but when I brush my tongue it disappears also no pain but some uncomfortable feeling..I went to a ear nose throat doctor and he said it doesn’t look serious but he couldn’t diagnose it exactly he said it can be an infection and after I went to my dentist he said there are a lot of tooth tartar he removed them changed my toothpaste and toothbrush he gave me an antibiotics and mouthwash and said to come control after a week, sorry I feel so annoyed..could you help me about that..Thanks in advance..
← How effective is Tarceva for cancer? Looks like a bacterial infection. The antibiotics your Dentist prescribed should work as long as you complete the full course. Your red spots and white patches may indicate that your your oral bacterial balance may be somewhat unbalanced. Eating bacteria rich foods such as yogurt and doing Saltwater rinses may help. i have the same thing.. did you find out what it was ? or what helped you to remove it ?